TANDEM Hamburg International Language School | TANDEM makes the words go round! To all of you out there who have been following the news about the G 20 summit and everything that’s happened around it, a few words from me at TANDEM Hamburg, right in the centre. Do I have to be afraid to go to Hamburg? If you see media coverage and social media agitation here at Facebook and elsewhere of things going on this weekend, you may have the impression that the city has become a ‘NO GO Area’, where you as a visitor must fear for your life. Don’t believe the panic preachers. The mindless, stupid, violent and totally inacceptable riots of last weekend (driven by an excess of testosterone rather than a political agenda) have not changed the world, neither have they changed us. This city is not an unsafe or dangerous place. We have seen the largest demonstrations in Hamburg, organised by various organisations, most of them driven by the conviction that many of the politicians assembled here for the G 20 summit need to be reminded of important issues such as climate change, human rights, immigration, oppression and poverty. Demos are an expression of our freedom of speech, and this is a human right. In many countries, many of which were represented at the summit, human rights are not respected, and the mere attempt to go out and speak your mind will be suppressed, protesters will be imprisoned or lose their lives. Not so here. We can go out in the streets. The vast majority of demonstrations were peaceful, imaginative, impressive manifestations of our civil rights. What happened here leaves many of us speechless and angry. But now, as the smoke is clearing, and those blasted idiots clad in black have left the town or changed back into their ‘respectable’ daytime clothes, the mess is also being cleared. Hamburg has a reputation of being an open, cosmopolitan, welcoming place, and I have no doubt it’s going to stay that way. Welcome to Hamburg, my home town. TANDEM Hamburg e.V. ist seit 1.2.2016 nach AZAV zertifiziert; das heißt wir verpflichten uns nun auch nachprüfbar zur Einhaltung strenger Qualitätsmaßstäbe für unsere Arbeit. Nach dieser Trägerzertifizierung bieten wir künftig auch geförderte Bildungsmaßnahmen an. Watch this space! Our teachers make language learning an exciting experience and guarantee that the learning process in our German and foreign language courses is efficient and fun. On top of this, we continue to develop our skills; we keep improving through the expertise we gain from participating in Lifelong Learning Projects funded by the EU and further contacts to other professionals in adult education. 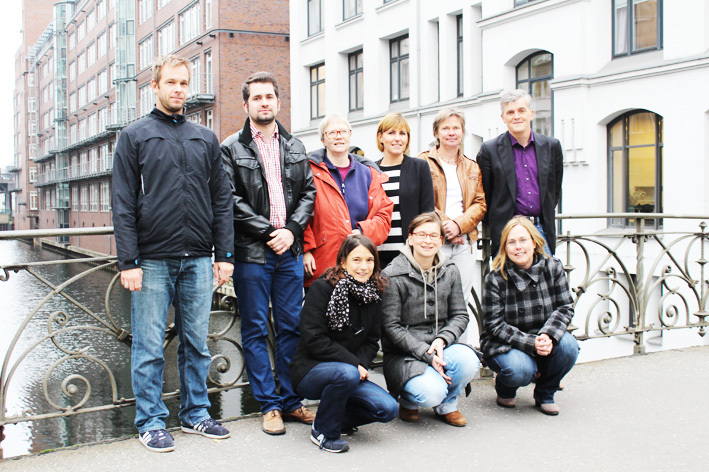 TANDEM Hamburg is offering trainers in adult education one-week further training seminars on the topics didactics and methodology, in order to enhance the quality of language training through exchange and mutual ‚Best Practice‘ models and thus disseminate experience and skills developed by professionals for professionals. Teacher teaches, learner listens – always the best idea? It is the aim of this training course to inform participants about the current discussion in the field of learning strategies and to and to work and learn work together how learning strategies can be applied by the teacher and used by the learner effectively. ’Learning strategies’ is a term that describes the strategic approach of the learner, and exist not only to enable a learner to acquire a foreign language as efficiently as possible, but also to enable them to learn autonomously outside of the classroom. The areas vocabulary and grammar, reading and listening comprehension, as well as speaking and writing are addressed in this course. The practical use of all required knowledge is a central point in our class in order to be able to produce are big pool of exercises for the participants’ future classes. Wie können wir die Kommunikation im Unterricht fördern und dabei möglichst alle Lerner an Diskussionen beteiligen? Wie können wir bewirken, dass unsere Lerner Wörter und grammatische Strukturen nicht nur lernen, sondern darüber hinaus in kommunikativen Kontexten verwenden? Wie können wir gezielt das Lese- und Hörverstehen üben, ohne dass unsere Lerner an unbekanntem Wortschatz verzweifeln oder vorschnell zum Wörterbuch greifen? Wie können wir unseren Lernern helfen, gut strukturierte Texte zu schreiben und selbst oder in der Gruppe zu korrigieren? TANDEM Hamburg lädt sie herzlich zu unserer 5-tägigen Fortbildung ein, die dazu dienen soll, unser persönliches Methodenrepertoire zu überprüfen und zu erweitern. Dadurch kann der DaF-Unterricht abwechslungsreicher gestaltet und sowohl für die Lerner, als auch für den Sprachlehrer interessanter und motivierender sein. Außerdem können mit einer großen Methodenvielfalt verschiedene Lerntypen angesprochen werden. Die Fortbildung ist praktisch ausgerichtet: Methoden und Übungen aus den Bereichen Leseverstehen, Hörverstehen, Hörsehverstehen, Sprechen, Schreiben, Wortschatzentwicklung, Grammatik und Phonetik sollen vorgestellt, ausprobiert und gemeinsam diskutiert werden. Abgerundet wird das Seminar durch eine Spielewerkstatt und Ideen zu freieren Arbeitsformen wie Miniprojekten und Theatertechniken im Unterricht. Finanzierung: Die Kursgebühren für die Fortbildung können bei entsprechendem Antrag vom EU-Programm Erasmus+ übernommen werden. Das Anmeldeformular liegt hier zum Download bereit. our first activity, even before the New Year is beginning, is to set up a new blog. After experiencing some issues with spammers and missing speed and unsatisfactory connectivity with social media, we have decided for a re-start. We are working at it! Meanwhile, I wish all of you a happy and healthy new year 2016; looking forward to reading you!